My idea is to try to sew it but it’s such a big rip and at such an inconvenient place….I don’t know if it will work. If I don’t sew it, what else could I do with it? This entry was posted in Reusing and tagged Environment, green lifestyle, military spouse, militaryzerowaste, reducing carbon footprint, reusing, use it again, using less, zero waste. Bookmark the permalink. well, that has been one of my pet peeves about these free bags, so when one was torn by an overload of goodies, i took some gros-grain ribbon (like those used for belts, a long stapler and i performed surgery. –sticky tape, carpet tape can also be aligned as straight as possible , then staple or glue, add some fancy ribbon along the outside seam to cushion and hide the ‘stitches’ a few minutes to save waste and show a child what fun really looks like, paint a funny face or a flower or initials on the side? Thank you so much for this! This is really helpful. Mending, glueing patches, duct tape, making a wine carrier, weed barrier, and Nadine’s surgery. I would not have thought of any of those. 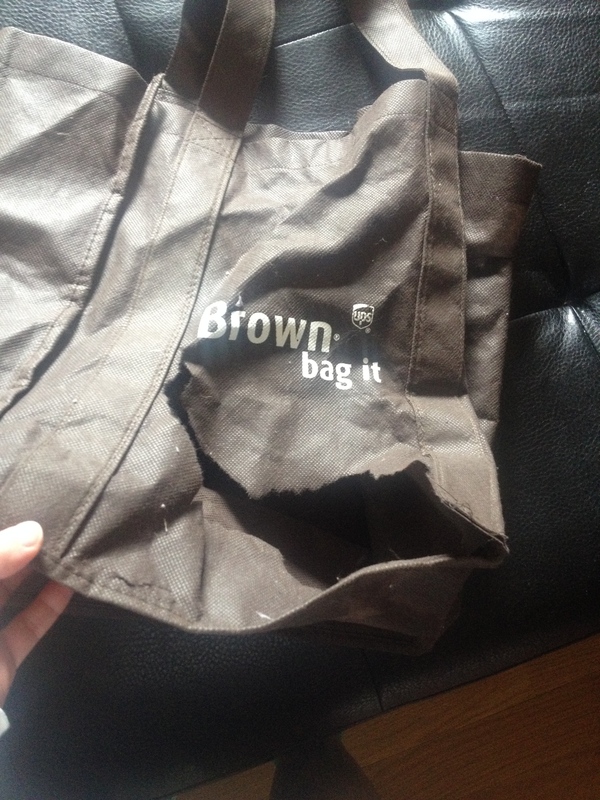 All I saw was I bag that wouldn’t hold if I sewed it. You ladies are SO WONDERFUL and HELP ME SO MUCH!! Now I have to figure out which one to do! Ha! I’ll end up posting the result. They are all EXCELLENT! I like Sellers idea….or….sew straight up the middle turn it into a wine carrier and throw the other half away. Anything that carries wine works for me!!! Two words: duct tape. Quicker and easier than stitching and holds up well! One piece on he inside, a mirrored one on the outside. If you have a sewing machine, you could make doll clothes with the fabric for your darling one, Cheers, Jen! Love all these ideas. When in college my best friend wondered what to do with her High School plaid pleated skirt, I pressed out the pleats and made a vest. Instead of duct tape, how about hot glue denim patches one on the inside, one outside, together. . . just saying, hugs! really good ideas. I hate those bags. they maybe good as a weed barrier in the or flower bed or maybe us in the bottom of a flower pot to stop the soil from coming through the holes. other than that the wine bag sounds best. I love mending, so I’d attempt to mend it with a zig zag or cross stitch style. There’s immense satisfaction for me to complete something like this, even if it doesn’t look like new again! That being said, duct tape is quicker and easier. Fabric stores have an iron on tape or iron on patches – you could try some, one on each side to pull it together and reinforce it, but you’d probably want to stitch around it, too. Or you can make your own patches if you have a machine and iron it on with double sided interfacing, which slips in between the fabric so you can iron it together or “stitch witchery.” which is the same thing but in more of a tape form. You can use all these kinds of things on the ripped knees of toddler pants or other items that get torn. I swear my daughter was harder on her clothes than my son ever was!